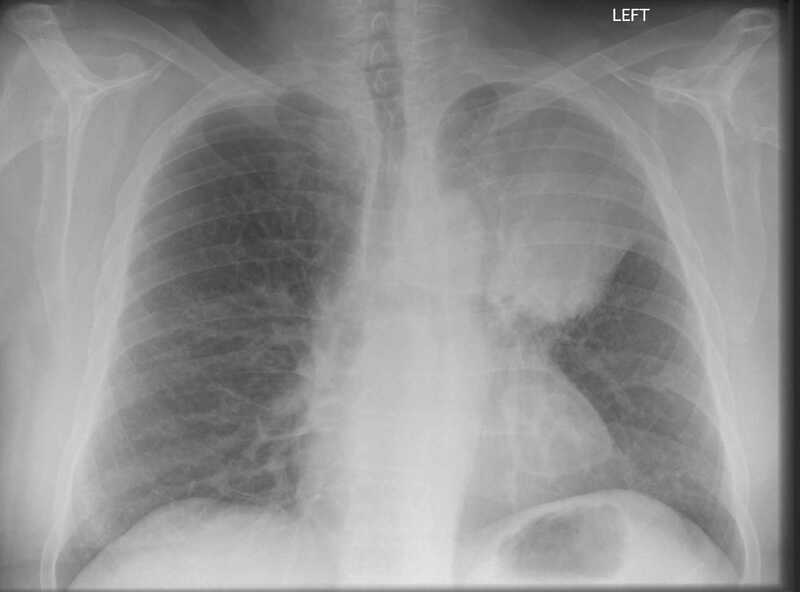 Image 1a (Chest radiograph: Left hilar mass causing collapse of the left upper lobe and elevation of the left main bronchus. 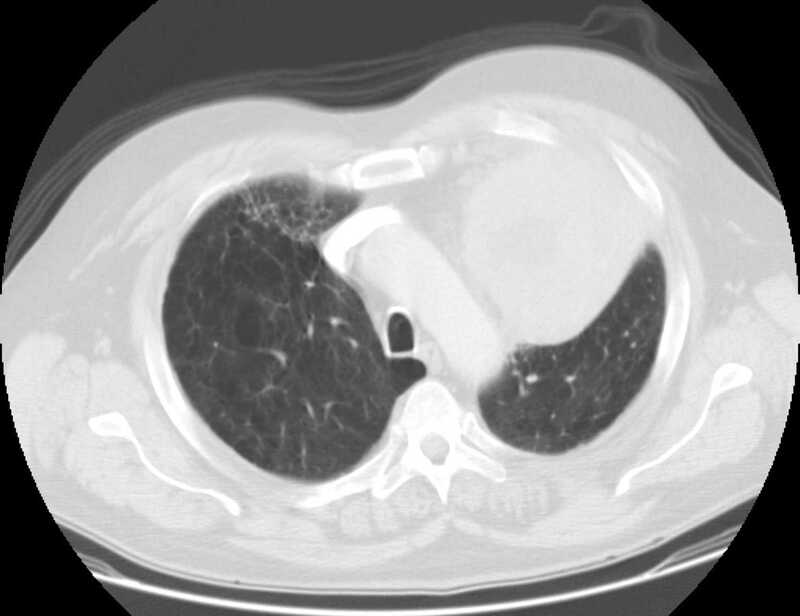 Images 1b, 1c, and 2d (Computed Tomography): CT of the same patient reveals a large, relatively homogenous mass within the left upper lobe measuring 95mm and extending from the apex to the hilum. 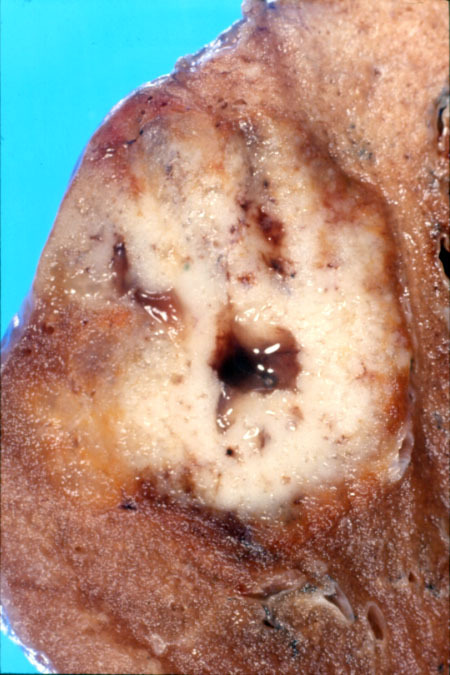 Central areas of low attenuation are compatible with tissue necrosis. 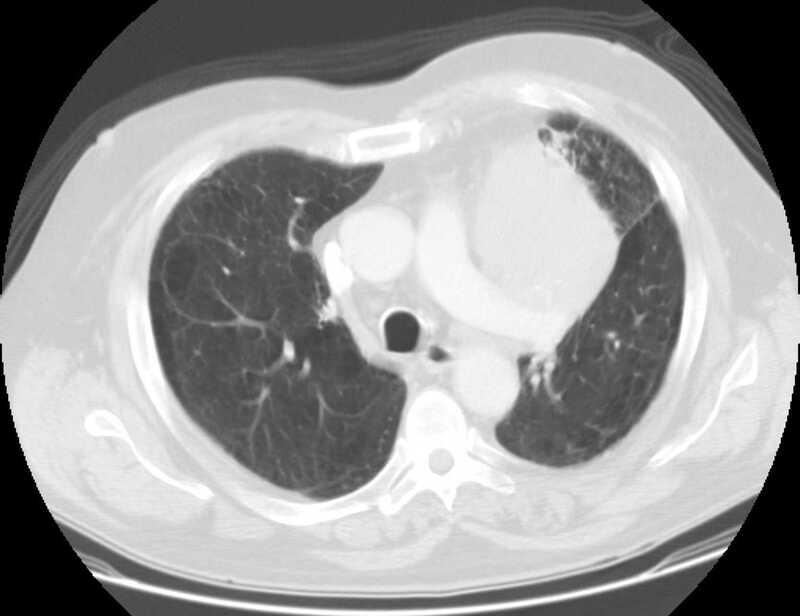 There is also encasement of the left upper lobe bronchus and pulmonary artery with extensive background emphysema. 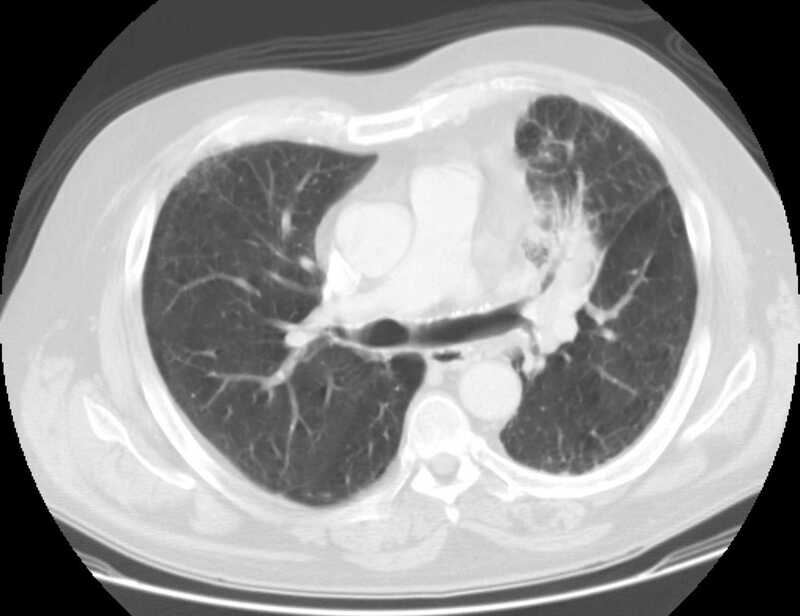 Image 2a: Lobectomy showing a large non-small cell lung carcinoma arising from the proximal bronchus and invading into the surrounding parenchyma. 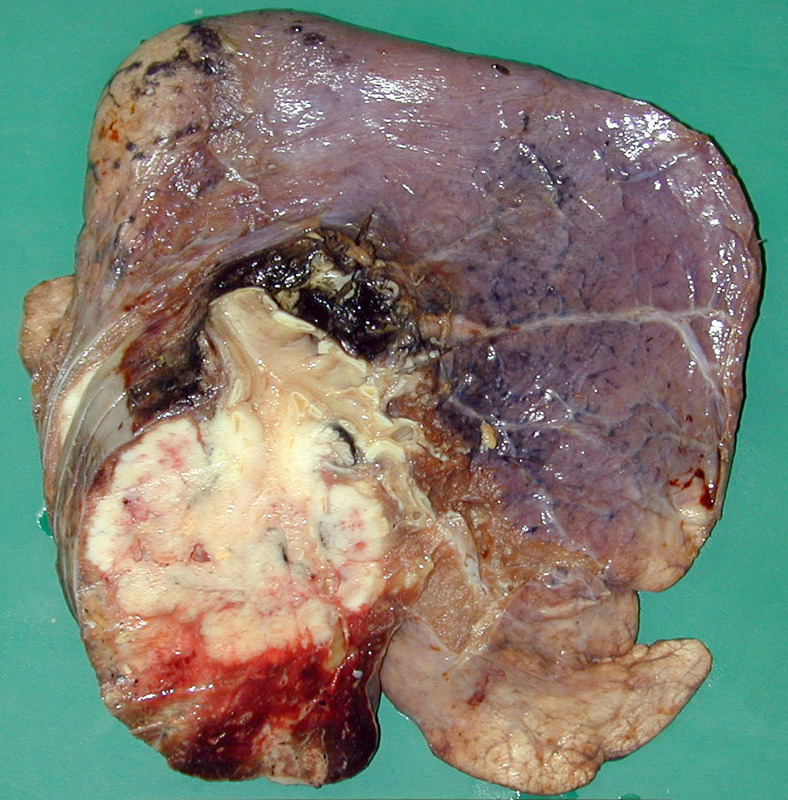 Note the patchy central necrosis and punctate areas of haemorrhage. 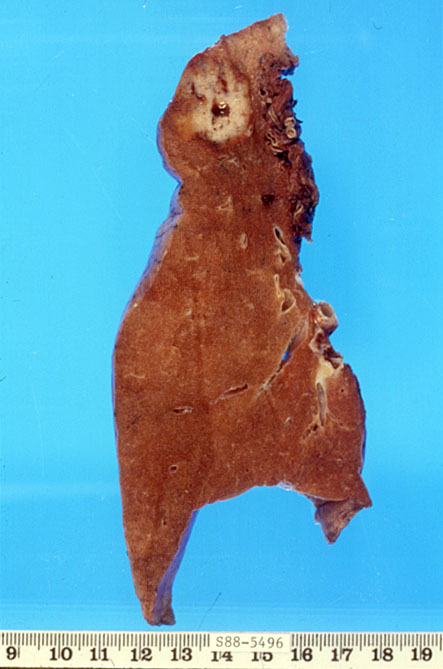 2b Images 2b and 2c: Post-mortem specimens showing infiltration of lung parenchyma by bronchoalveolar carcinoma. 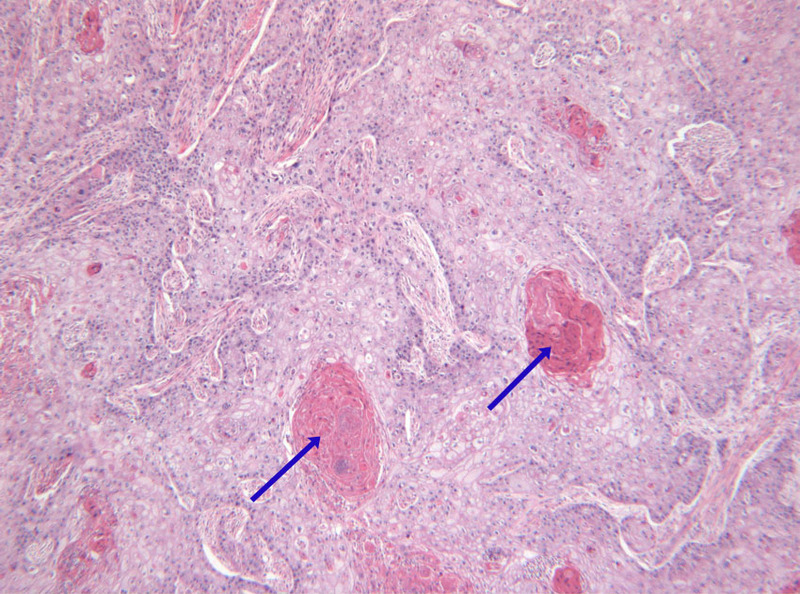 2d Images 2d (H&E, x2.5) and 2e (H&E, x20): Histological sections of a moderately well differentiated squamous cell carcinoma of the lung showing infiltrating sheets and tongues of malignant squamous cells with whorls of keratin (blue arrows). 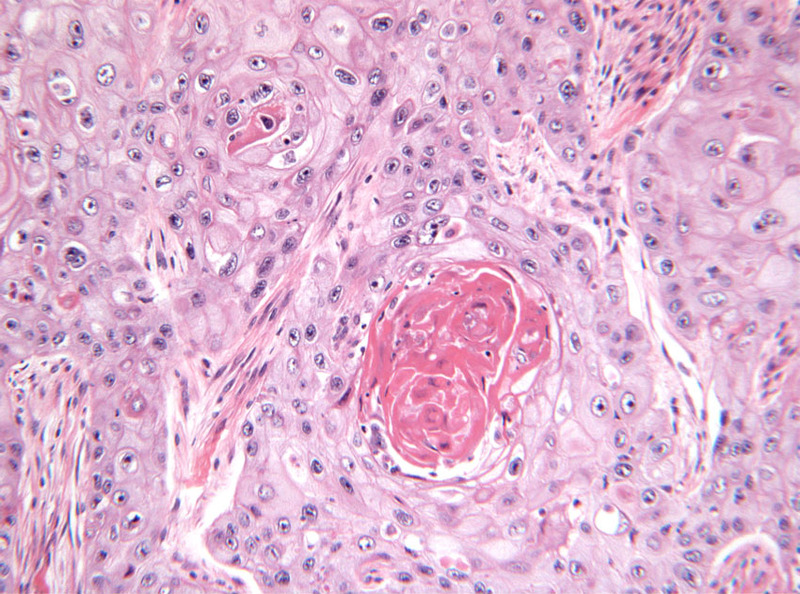 At higher power, the malignant cells demonstrate marked nuclear atypia with abundant glassy eosinophilic cytoplasm.